Control Resources is a leading manufacturer of AC motor speed control products that control motors, fans or pumps for a variety of industry applications with current rating up to 18 amps. Our AC motor speed controls regulate motor speed based on inputs that include temperature, analog (0-20mA, 0-10VDC) signal or remote transducer control. 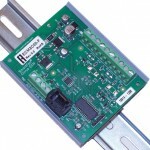 Mounting options include DIN rail, open frame, with and without metal enclosures. 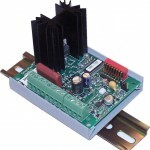 Control Resources is an OEM (Original Equipment Manufacturer) supplier of fan and motor speed control and alarm products. Our products are not intended for end-user/after market applications. When a DC fan or motor is available and DC power is available, nothing beats a DC control for energy savings, cost, size, safety or controllability. When circumstances do not permit the use of a DC fan or motor, CRI offers 3 AC motor speed control technologies to consider; TRIAC (voltage or phase control), VFD (Variable Frequency Drive), or ECM (Electronically Commutated Motor). Note: Nimbus is not recommended for new designs. Please see the Nimbus II above. If system cost is the number one concern, choosing an induction motor [Permanent Split Capacitor (PSC) or Shaded Pole] and a compatible TRIAC control may be the way to go. 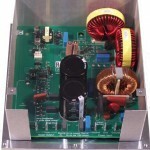 TRIAC controls also tend to be more energy efficient at higher speeds than VFDs. Drawbacks of this technology include relatively high minimum speeds and potentially nonlinear control curve (input signal vs. motor speed). Please check out our AC Motor Compatibility page for an explanation of the TRIAC AC motor speed control motor requirements and risks. Not all AC motors are TRIAC controllable. In many of these cases, an inverter duty motor can be successfully controlled with a Variable Frequency Drive (VFD). VFDs tend to be more energy efficient than TRIAC controls at lower speeds and can be run at lower speeds. Drawback to VFDs include, controller cost, size and potential bearing noise. Please check out our AC Motor Compatibility page for an explanation of the Variable Frequency Drive AC motor speed control motor requirements and risks. In recent years, the availability of ECM motors has greatly increased. These are basically DC motors with built-in transformers allowing them to be powered from the AC line. As a result, these motors are the most energy efficient and easiest (inexpensive and accurate) to control. But of course there is no such thing as a free lunch. ECM motors can be pricey and are not always available in the size required. *TRIACs are often more energy efficient at higher speeds, Variable Frequency Drives are more efficient at lower speeds. 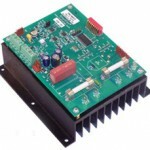 SmartFan AC motor speed control products are capable of controlling small AC pumps. SmartFan AC motor speed control products can be used to help keep positive pressure in clean rooms. SmartFan AC motor speed control products can automatically regulate fan speed when connected to a humidity sensor. SmartFan AC motor speed control products can be used with a ceiling fan, attic ventilator or duct fan to remove hot air or noxious fumes.